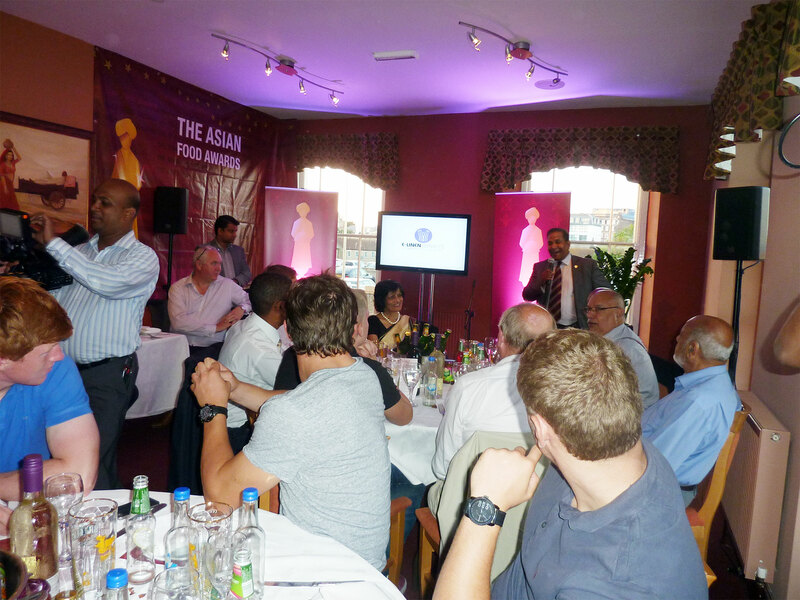 Yesterday evening, 3rd of September 2013, saw the launch of The Asian Food Awards at Juboraj Big Windsor in Cardiff Bay. The event saw members of the Asian restaurant community come together to celebrate the awards scheme and the industry as a whole. Taking place on 31st of October 2013, the inaugural ceremony will award recognition to the finest Asian food establishments, culinary teams, and innovative ideas across Wales and the West. One of the founders of the Awards is Ana Miah, Director of The Juboraj Group, so however much you’d like to, you won’t be able to nominate or vote for the Juboraj. Having won so many awards in the past it’s time we gave other’s the opportunity! Ana can be seen here speaking at the event last night. 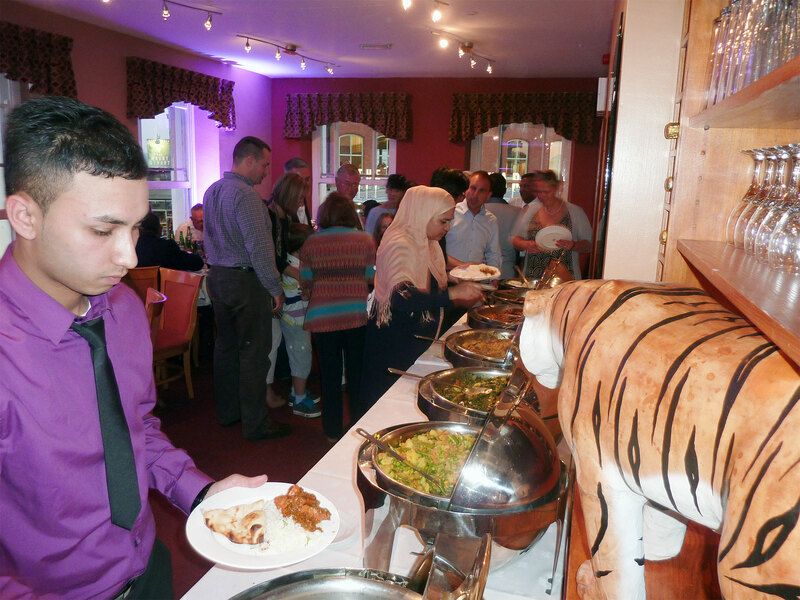 Guests at the event enjoyed a feast prepared by the Juboraj chef’s at the Cardiff Bay restaurant as staff were rushed off their feet to keep nearly twice as many guests as were initially anticipated happy. The extremely successful event was organised by Julia Young of Inspire and Motivate, another founder of the Awards, along with Awards Director Imran Jabber. 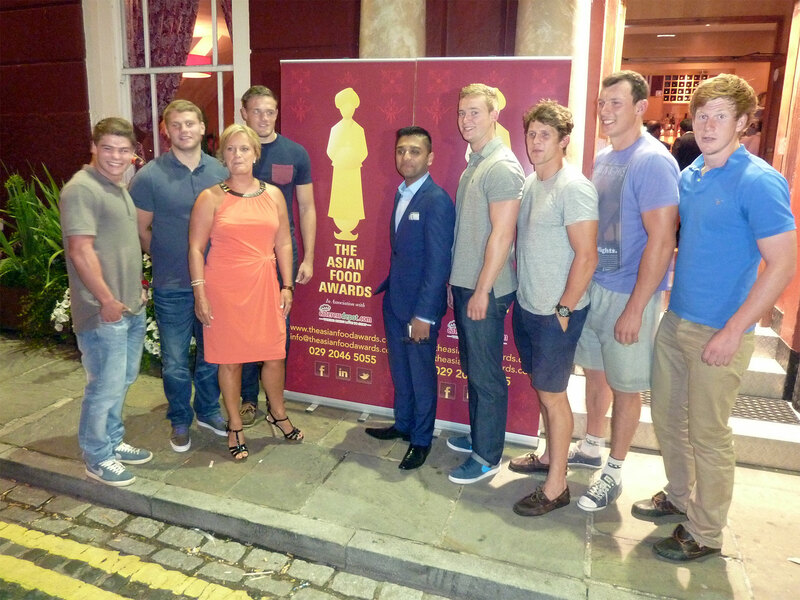 Both pictured below with players from the Cardiff Blues rugby squad who had a great night sampling the food and mixing with the guests.